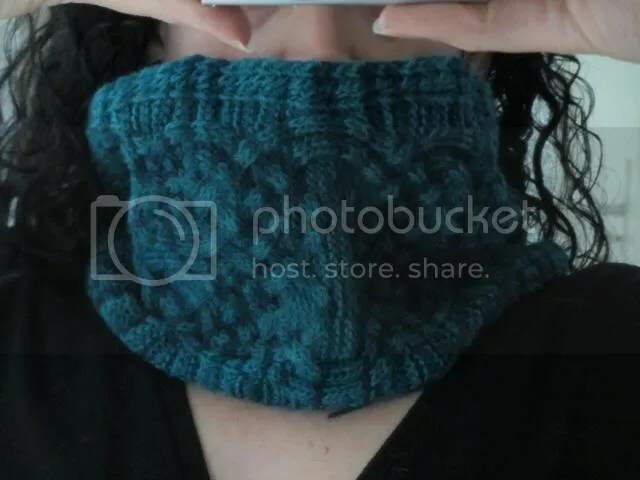 I needed a gift for a friend, and as the weather in this part of the world has been getting cooler, I was hoping for something that would get a lot of use in the coming months. Not too fussy, not hard to wear, and would go with everything. I decided on the Nennir Cowl, and then all I had to do was discover favourite wardrobe colours. Fortunately I had the exact colour of this yarn in my stash just waiting for the correct project and the right person who would love it. 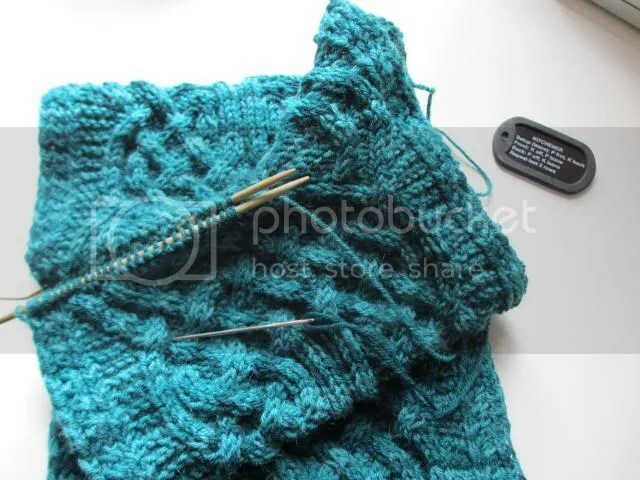 I’ll admit that initially I was done in by the cable pattern a couple of times when I wasn’t paying attention, but with some concentration they do flow very intuitively, and it was a wonderful pattern to work and came together quite quickly. 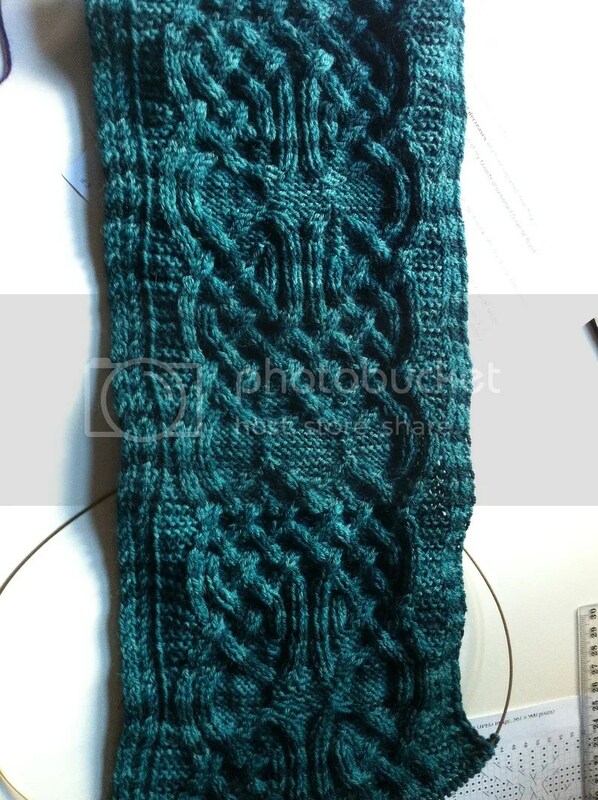 With a provisional cast on at the beginning, and then kitchener stitched together at the end, its a very neat endless celtic cable pattern. Topping it all off, it’s comfortable to wear too! I think I may end up making another of these for myself! 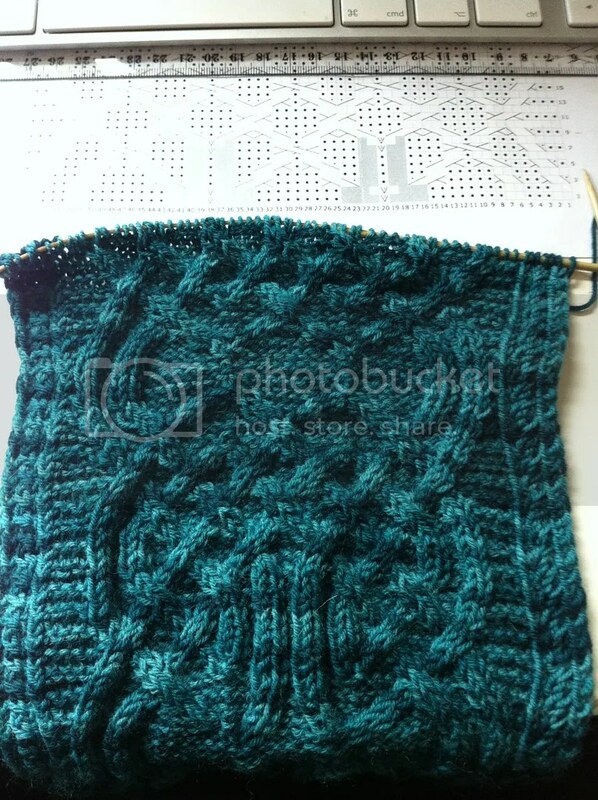 But first I will have to finish my cobweb weight alpaca Aeolian. Now, some of you may remember that I’ve made this one before for a friend, but I loved it so much I had to have one in my own wardrobe! I’m still at the beginning, so not yet ripping my hair out. Wish me luck! Nennir looks lovely! The yarn really lets the pattern stand out. 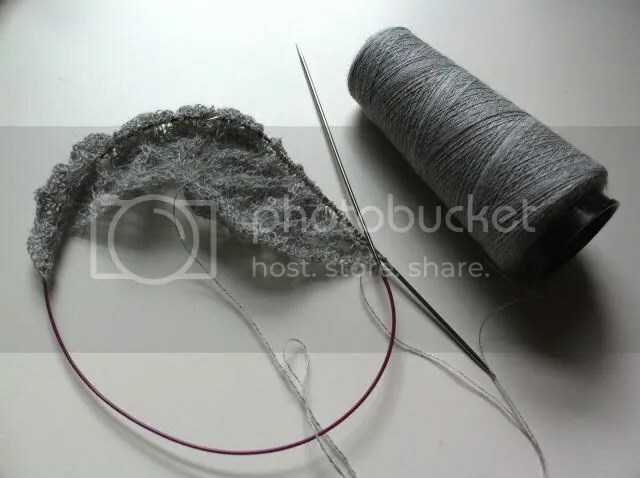 Happy stitching on your next project!